Good Samaritan Sister Mary Adams celebrated her 100th birthday on April 16, 2013. Anticipating this significant milestone, Sister Bernardina Sontrop caught up with Mary at her home in Kangaroo Point, Brisbane. “I’ll never forget that the Good Sams welcomed me.” That was Good Samaritan Sister Mary Adams’ opening remark in a conversation looking back over 100 years since her birth in 1913. As Mary reflects on her 100 years, 82 of which have been spent as a Good Samaritan Sister, she recalls some of the challenges she’s faced along the way. Past feelings of hardship and challenge have given way to growing peace, gratitude and faithfulness. Born in Toxteth Park, Liverpool, in England, Mary was one of five children. She spent the first six months of her life in the UK before the family moved to Tasmania. “The early years in Tasmania were difficult years,” says Mary. She remembers her father being away at the war and her mother working on the land during her early childhood. Her mother died while Mary was still young and, at age ten, she was placed in an orphanage in the care of the Sisters of Charity. It was through Mary’s association with these sisters that her desire to “give her life to God” grew. She often talked with her dearly-loved friend, Charity Sister Inigo McBreen, about her desire to be a nun. “I wanted to be a nun from the time I was a young girl,” says Mary. After writing to several religious congregations, including the Good Sams, whom she’d never encountered, she was delighted when Mother Basil, then Congregational Superior, replied to her, saying, “Come as you are. You don’t need to bring anything. We’ll look after you”. Leaving Tasmania, Mary travelled to Sydney and joined the Good Samaritan Sisters in 1931. She found the novitiate hard, conscious of her lack of education. She would have loved to be sacristan, but was assigned to other necessary, but less desirable, duties. Though she was credited with “a lot of common sense”, she “seemed to be always doing the wrong thing”. But she says, “I struggled through as best I could”, and in 1934, Mary made her first profession, which to her delight, was attended by her father. Mary’s first ministry appointment was to St Magdalene’s Retreat, Tempe, in Sydney, where the Good Samaritan Sisters looked after girls committed to their care by the courts. This two-week temporary appointment became a 26-year ministry! While she found the physically hard manual work and supervision of the girls challenging, Mary enjoyed preparing the girls for the Sacraments of Communion and Confirmation. She identified with the girls and their circumstances and grew to understand and love them. Mary says her greatest joy during her time at Tempe came after the arrival of Sister Paula Caduch and the introduction of concerts staged by the girls. When the work of the day was done, Mary spent her weekends and ‘spare’ time preparing the girls for concerts which were performed for invited guests, including social workers and magistrates from the courts. She loved the enthusiasm and delight of the girls as they looked forward to the arrival of Sister Gabrielle Healey, who accompanied them in their singing. “The girls loved to perform and I loved the girls. They were very happy times,” says Mary. Mary’s pastoral heart continued to grow as she engaged in other ministries over the years, including supervising boarders at St Scholastica’s College, Glebe, working with sick and elderly sisters in the infirmary, and working in the sewing room at the novitiate, of which she says, “I knew nothing of sewing”! 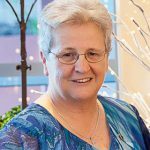 In 1967, Mary was appointed to the boarding school at Lourdes Hill in Brisbane, where she spent the next 16 years, both in the kitchen and supervising students in the dormitory. Sister Lia van Haren SGS, a long-time friend of Mary’s, describes her as “a woman of much wisdom”. She echoes some of Clare’s thoughts. “[Mary] has been the perfect role model of a Good Samaritan Benedictine sister. She has lived her life totally dedicated to the love of God in her ‘neighbour’,” explains Lia. In her later years, Mary lived in several communities around Brisbane and was involved in parish life. She especially loved visiting people in the community, taking communion to the sick and housebound. When her eyesight weakened and her energy began to wane, Mary felt it was time to move into hostel care. Mindful of her early association with, and love of, the Charity Sisters, Mary became a resident in Marycrest Hostel at Kangaroo Point, operated by Mary Aikenhead Ministries. Now, as Mary celebrates 100 years of life, she expresses her deep gratitude for that life. She likens her coming to the Sisters as a living expression of the Good Samaritan Gospel saying, “Like the Good Samaritan in the Gospel, the sisters did not pass me by, but came to my help. They stopped, saw my need [her desire to be a nun] and picked me up and, though I had nothing, welcomed me”. Mary has witnessed great change in every aspect of life over her hundred years. Personally, what she has valued most, in all that has happened over the years, is “growing into an easy freedom that gave me the power to be myself”. Counting her blessings, Mary says, “I still have my mind and I can still reason and argue a point with my friends”, something she does graciously and with both great determination and delight. Mary’s needs now are very simple. She is deeply appreciative of the care provided by the staff of Marycrest and her own Good Samaritan Sisters and friends. Though she tires easily, she enjoys times spent with the many friends who visit her regularly. She always welcomes phone calls from friends and loves to hear about what is happening in the Congregation. She enjoys, “and needs”, more time for rest and sleep these days. Good Samaritan Sister Bernardina Sontrop has a background in education and parish community ministry. Last year she finished a six-year term on the leadership team of her congregation. This year she is enjoying a well-earned sabbatical, and is studying at Heart of Life Centre in Melbourne.